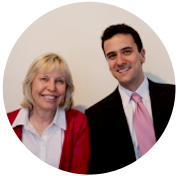 When it comes to real estate, downtown Toronto certainly has a lot to offer per square metre of land. The buildings in the centre of our largest city are among the tallest in the world, and are certainly some of the tallest in Canada. And when you have 298 metres and 76 floors to work with, that’s certainly a big deal. Granted, not all of Toronto’s buildings are 300m tall and not all of them are fit for living, but they are all majestic in their own right. Let’s see what the grandest buildings of Toronto (and across Ontario) are. 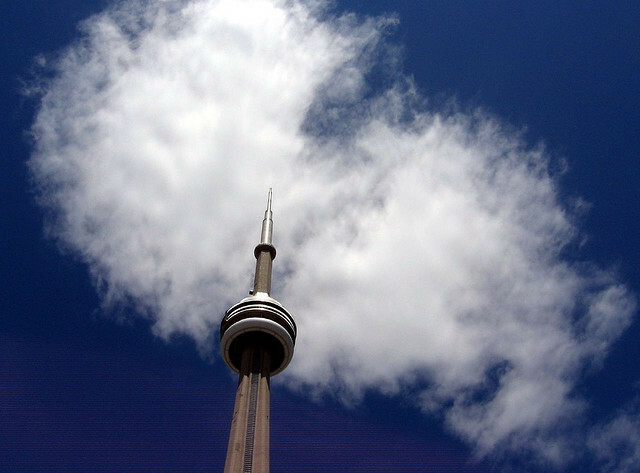 The CN Tower is exceptional in that it only has one floor and a few elevators, and is otherwise hollow inside, but we definitely have to mention it in our enumeration. Despite its single floor, it reaches an incredible 147 storeys, spanning 553 metres vertically. 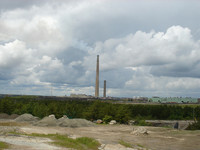 The Inco Superstack is also not an ordinary building: it is an industrial chimney in Sudbury, Ontario. I know it’s very far from Toronto, but I had to include it in the list. The Superstack is the tallest chimney in the western hemisphere, reaching a stunning 380 metres. 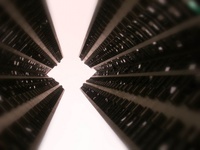 Its only rival is a chimney pointing in the opposite direction at a Kazakhstani power plant. 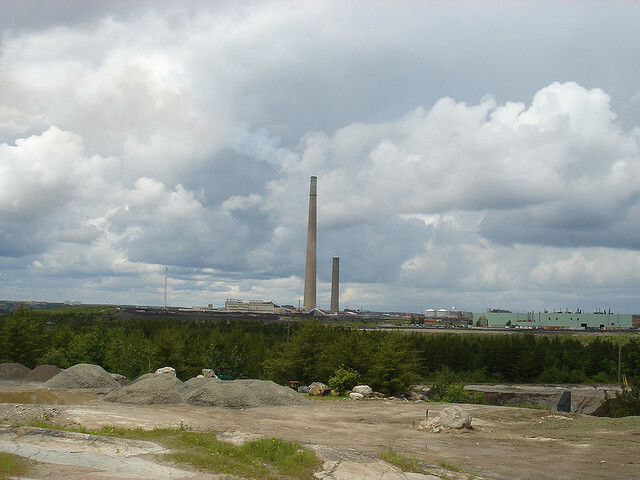 This structure is 419 metres tall, making it the tallest chimney that has ever been built. This is the first ordinary building in the list, and this is also the building that I mentioned in the introduction: First Canadian Place, the home of Bank of Montreal headquarters. 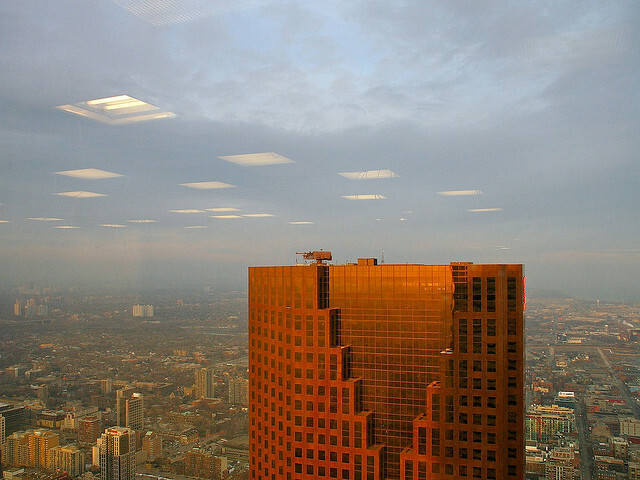 First Canadian Place, completed in 1975, is still the tallest ‘proper building’ (with many floors) in Canada, and is currently the 9th highest roof-to-roof in North America. 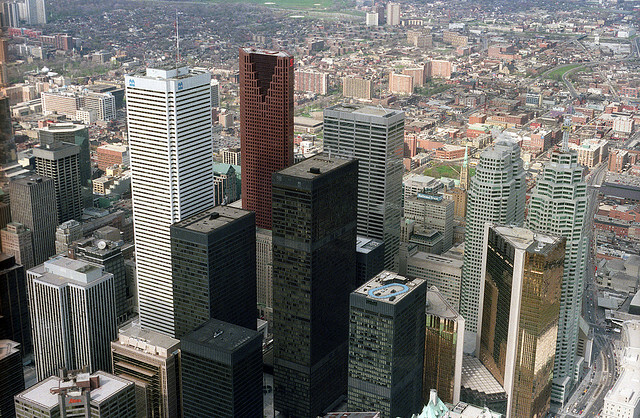 First Canadian Place was built on the site previously occupied by the Old Toronto Star building. Once the headquarters of Toronto’s famous newspaper, the Old Toronto Star Building was 88 metres tall and had 22 storeys. Many people think that First Canadian Place is not particularly pretty, and it is by no means unique. This is because the building virtually shares its floor plan with Aon Center in Chicago, Illinois. What do you think about our tallest building? Please let us know in the comments! Only 23 metres shorter than First Canadian Place is Scotia Plaza, completed in 1988. Scotia Plaza has two fewer floors than the next-door First Canadian Place, but it arguably looks more stylish than its older sister, doesn’t it? Scotia Plaza has as many as 44 elevators, probably making it the building with the most vertical traffic in Toronto. 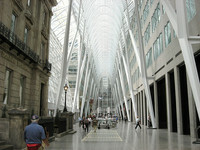 Brookfield Place is definitely the place to be in Toronto. 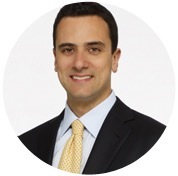 It is in essence 242,000 square metres of office space divided between the two towers of Brookfield Place, stacked up on 53 and 49 floors respectively. This is one quarter of a square kilometre! Fortunately, the architects found space to include the Hockey Hall of Fame and, later, the municipal government solicited and supported the building of Allen Lambert Galleria linking the two towers. 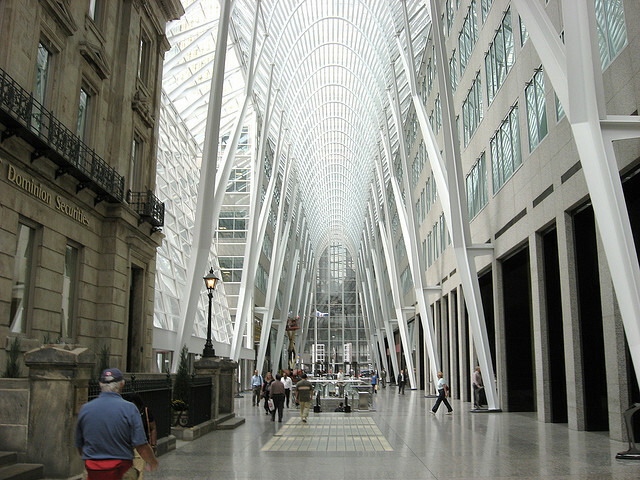 What’s even more unique is the effort of Brookfield Place’s architects to preserve and integrate original historical buildings into the project. Thanks to this generosity, Brookfield Place is an amazing blend of genuine history combined with some of the most modern architectural features. 44 Charles Street West is the residential part of the Manulife Centre. It has 51 floors, and its 800 luxury suites were all built within just two years, between 1972 and 1974. Although this complex is not the tallest building in Canada, it is indeed the tallest residential building in the country, and it has something none of the office buildings have: the highest outdoor patio in the city. The patio is on the very last floor of the building and offers a stunning view of Toronto to its visitors. That’s it for today. If you’d like to read more about interesting buildings in Canada, please let me know in the comments. Of course, this list is by no means exhaustive, and it is subject to change. Builders are never dormant in our wonderful city. During the crisis, the value of building permits shrunk, sinking from $26.7 billion in 2007 to $21.8 billion in 2009. In 2010, however, the total value of building permits in Ontario climbed back up to $28.1 billion, and it’s expected to continue rising in 2011. Among the buildings completed this year will be the Four Seasons Hotel and Private Residences with the most expensive condo ever sold in Canada.